Discussion in 'Software' started by Giggity, Feb 9, 2019. 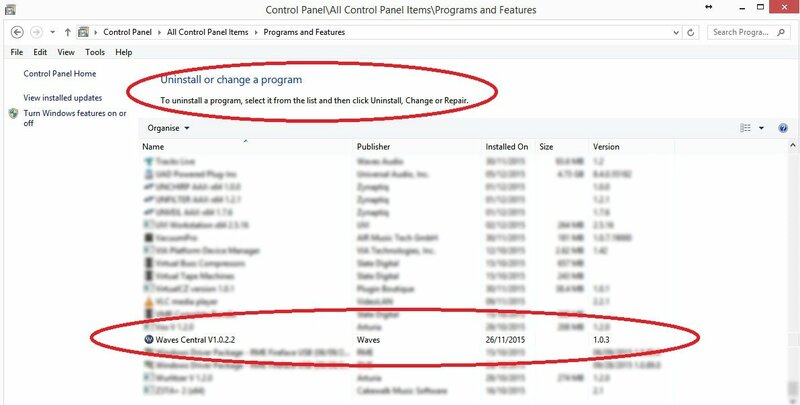 I wanted to update my waves v9, so I downloaded the latest version from the sister site, had me uninstall the previous version, installed the new V10 version, and selected VST3 64-bit, and now, not only the plugs don't show up in my Cubase 8 (legit) plugin manager, my previous projects, are all.. well, you know. Meanwhile, any suggestions? I was always skeptical of updating anything waves related because of such possible issue. I created a restore point before uninstalling the V9 version, and now, Freaking Windows 10 (legit) says there's no restore point found on this computer.. I've edited your title so you will have more probability to receive answers. First though would have been check your default folder, but your talking vst3 so its not that, did you go from R2R to another group as diffrent cracks dont always get on with each other and it may be worth your time cleaning up all the waves folders and the reg? Quite so. I for one was really dissapointed. Go to the waves shell folder and put the .dll to cubase vst folder. Most of the times you have to do it manually go to waves folder and find the vst. Checked the reg, nothing was there. Also, I was w R2R before, and used the 12.05.2018 V10 file on the sister-site now. Will keep you posted. Thanks for the suggestion, although it is a little odd because I had never had to do this with waves, but I'm going to try this out. Cubase 8 , upon loading as it displays the name of the files its going through, I see waves plugins' names show up there..but once in a project, none of them is there. Lads/Lasses, all is fixed and good.! I actually did not follow the instructions completely. I actually ended up not having to do that. ahh the old RTFM problem.... glad you got it sorted. A bit of good advice... DON'T USE VST3!!!! if something going wrong you can restore your computer to the same point . 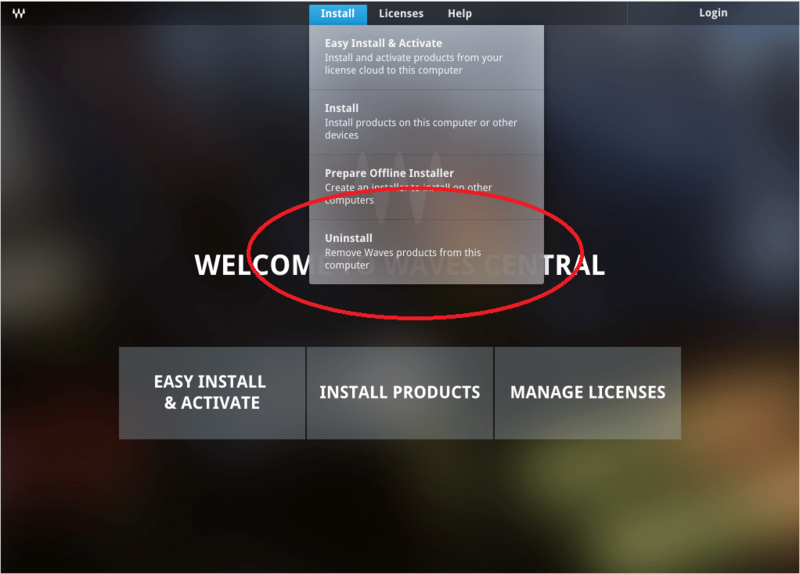 If you have already moved passed this stage and have installed Waves Central but are experiencing problems follow on with these instructions below to start again and clean up that problematic install. 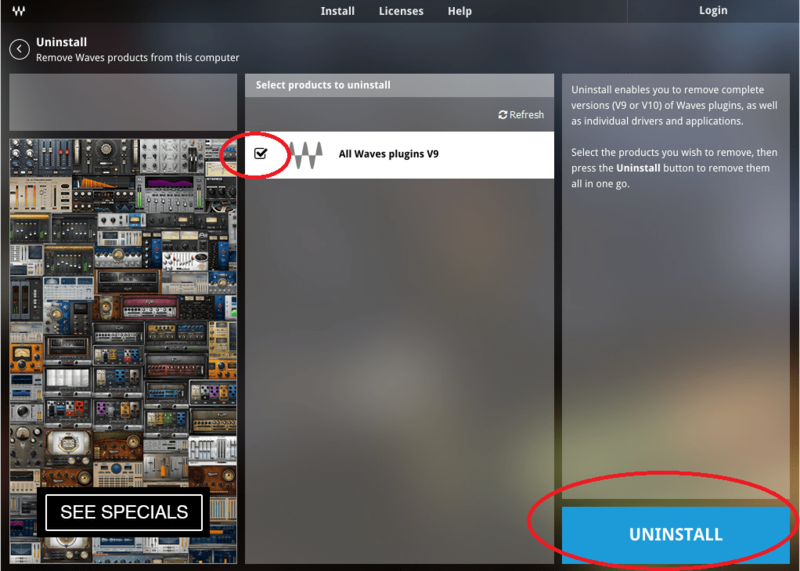 Click the "Install" tab and select "Uninstall"
Select the tick box in the middle column labelled "All Waves Plugins V9" and click Uninstall in the bottom right corner. This "should" remove all of the Waves Plugins on your system but we'll check that in a moment. You can then go to Windows control panel/programs and features (on your keyboard press the Windows key and type "Programs and Features" without the quotation marks) and from the list of Installed Programs. The first thing to do is make sure you are able to see some hidden files that we'll need to be cleaning out - primarily what is referred to the "Waves Cache"
This is a database record of the waves plugins that have previously been scanned on the launch of Pro Tools rather like the Pro Tools plugin databases that can be trashed to fix problems. Navigate to your Windows "Control Panel" (press the Windows Key on your Keyboard and type Control Panel and left mouse click it from the search results that appear). 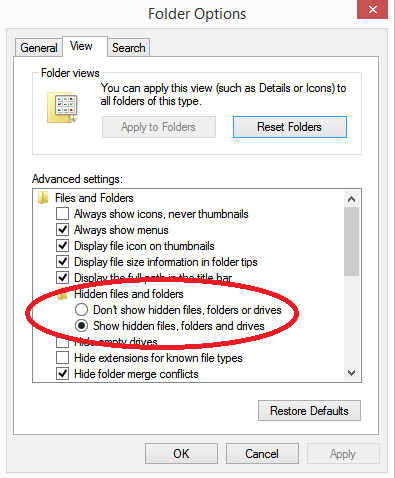 click the "View" tab from the top and under "Hidden Files and Folders" select "Show hidden files,folders and drives". Click ok and exit Control Panel. Next we want to navigate to the following folder locations and delete the folders. And lastly you can delete the contents of the C:\ProgramData\Waves Audio folder except the Licenses folder (you need to keep this). Then just to make double sure you have caught everything in Windows explorer navigate to your C: system drive and in the top right corner of the Windows perform a search for "Waveshell" and delete anything that comes up. Although I did manage to fix it, this could be helpful in future! Thanks for the effort. There was no Waves Central on my computer, strangely enough. I wish there was another alternative to the Deep Freeze software you mentioned. You know any? then I can not suggest you something which I was not use ! you can download VMware and before you install something just check it before on VMware ! There are many advantages, but I'm lazy to write them, so I'm gonna copy-paste from Steinberg forum, and give you a link with all the info you need! And if you're interested to learn more about VST3, click here! Why do you say that? Read the above post, if you don't already know the advantages, but still lmk why.